WANTED: Photos of the radio room and radio officers of Dominion Monarch. If you can help, please contact us. Thank you. Dominion Monarch was built in England in 1937–39 for Shaw, Savill & Albion Line, and when new she set a number of records for her size and power. Known for her speed and luxury, she operated between Britain and New Zealand via Australia in civilian service 1938–40 and 1948–62 and was a troop ship 1940–47. She spent half of 1962 in Seattle as a floating hotel for the Century 21 Exposition and was then scrapped in Japan. 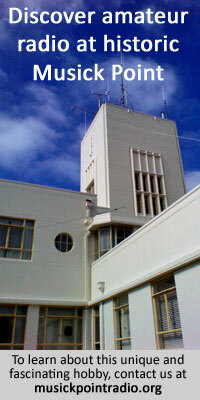 Dominion Monarch regularly visited Wellington and the Chief Radio Officer always visited ZLW when the vessel was in port. There was an open invitation for station staff to visit the vessel and I did so. It was an impressive vessel; all the passenger accommodation was First Class. 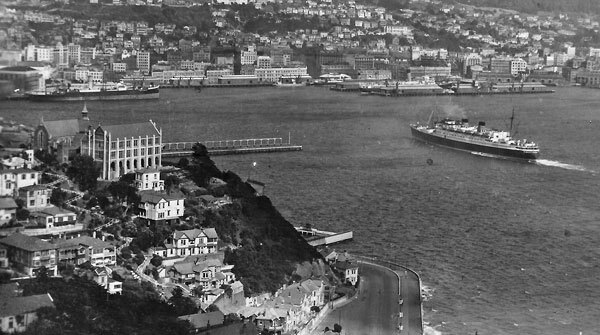 My dad (Ray Allsop, Chief Technician at Wellington Radio ZLW in the 1940s and early 1950s) had several invitations to visit ships when they came into port, and one of the notable ones was Dominion Monarch (the latest in cruise ships).